Read this article How to link EPIC (Voter ID) Card with Aadhaar Card through EPIC Self Seeding Portal. Come to the point if you want to check their linking Status following below Instruction for (HOW) know Linking Status of Voter ID Card with Aadhaar Card. How to Check Linking Status EPIC (Voter ) ID With Aadhaar Card (UID) ? 2. Than Click on"Linking Status" on CEO Home Page. 3. You'll see redirect New web page, It is EPIC Aadhaar Seeding Portal. 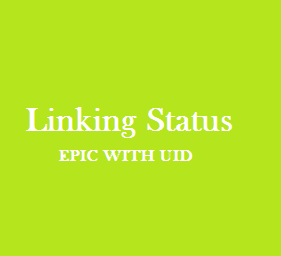 Watch This Video for Check Linking Status of EPIC WITH UID.